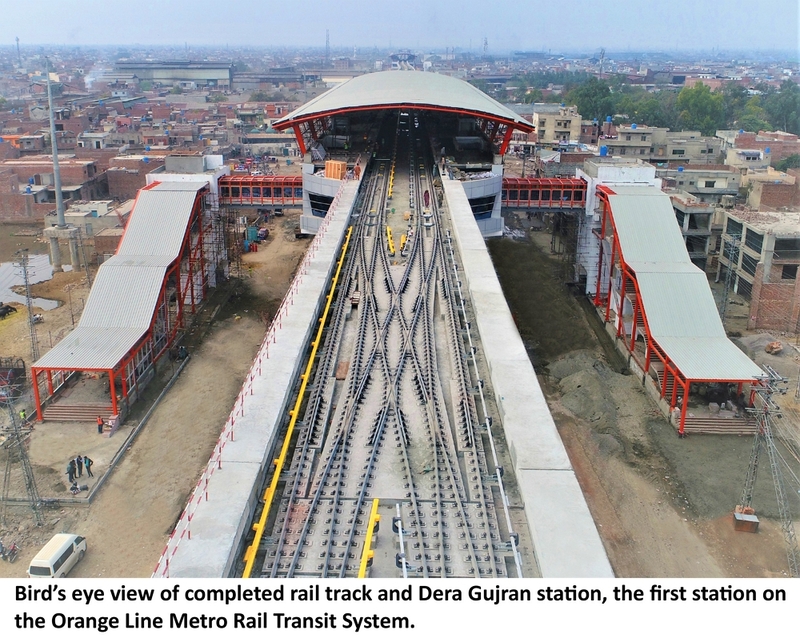 Lahore, November 19, 2018: The main contractor for the Orange Line Metro Rail Transit System, the joint venture of China Railways Corporation (CR) and China North Industries Corporation (NORINCO), today announced that it has finished work of laying down the final remaining track of the Line’s underground stations, and with this the entire main line is now available for the next phase of the project. CR-NORINCO was responsible for tracks laying, supply of the trains and the electrical and mechanical works. The overall length of the Orange Line track is 25.58 kilometers one-line (51.16 kilometers both line) and there are 24 elevated and 2 underground stations along this route. The Orange line track runs in a north-south direction through the city of Lahore, along the Grand Trunk Road, Macleod Road, Lake Road, Multan Road and Raiwind Road. Upon commissioning, this state-of-the-art public transport system is expected to serve up to 250 thousand citizens daily, facilitating their commute via a fast and efficient transit system of an international standard. “The Orange Line Rail Transit system will prove to be a great asset for Lahore in many ways, as it will not only greatly facilitate daily travel of tens of thousands of people, but it will also reduce vehicular traffic on the roads of Lahore and reduce environmental pollution caused by these vehicles,” stated Feng shuo chief engineer of CR-NRINCO, and added, “It is also to be noted that costs incurred for our scope of work, including the cost of the trains is comparable to the lowest costs internationally.